The “women’s health” organization whose principal function is to perform as many abortions as possible, was established to exterminate “human weeds” consisting primarily of black Americans, Mike Adams, the Health Ranger, contends in a just-released video lecture. 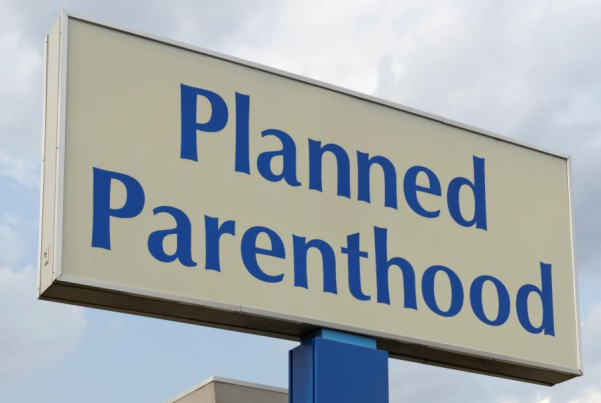 Adams notes that abortion centers operated by Planned Parenthood “are set up in predominantly black communities to reduce the [black] population numbers,” as well as “having their organs harvested” for profit and sale to the vaccine and biomedical industries. What’s more, he contends, all of that is overlaid with an “agenda of eugenics and genocide” developed by early Planned Parenthood founder, Margaret Sanger. “If you don’t think” that’s true, Adams says, “you just need to read” Sanger’s history. At one time, Sanger, who came into her own with eugenics in the 1920s, described blacks as “human weeds.” She also said that it was better to kill black babies in the womb so that they could never become adults. The Health Ranger noted that Sanger was very successful with her twisted and obscene viewpoints — so much so, that Adolph Hitler’s Nazis actually applied her narrative and mindset to the Jewish population inside and outside of Germany during World War II. “Their holocaust against the Jews was modeled after Planned Parenthood founder Margaret Sanger’s eugenics genocide model that continues today,” he noted. And, while the evidence is clear and the links to Sanger established, Adams noted that there is little outcry from Americans, and especially African-American citizens who are being targeted by this campaign of hate and murder. “In case you’re having difficulty believing any of this, let’s go to the news; let’s go to what’s being widely reported about medical experiments targeting African babies,” Adams said. According to the government, the drug trials were carried out without the informed consent of the children’s parents or the Nigerian government, and led to the deaths of 11 children. Dozens of other children were allegedly harmed by the drug. “They used disease to test out a new drug,” said Adams, thereby spreading disease — and death — in the process. Adams noted that such experimentation fits a well-established pattern of similar dangerous experimentation on blacks in America, specifically the syphilis experiments in Tuskegee, Alabama, beginning in 1932. The 600 black male volunteers were lied to; they were told that they were going to get excellent medical care and money, but in fact went untreated for four decades afterward as the United States Public Health Service conducted its syphilis study. Why would scientists do such a thing? Adams said the 600 test subjects were nothing more than guinea pigs; scientists wanted to observe the progression of the disease while the black men involved in the study suffered and died. While this particular experiment was discovered, Adams contends that “dozens” of others have not been. That includes experiments on black prisoners. Watch Adams’ compelling discussion below or click here. J. D. Heyes is editor of The National Sentinel and a senior correspondent for NaturalNews.com and NewsTarget.com.